Are there downsides? 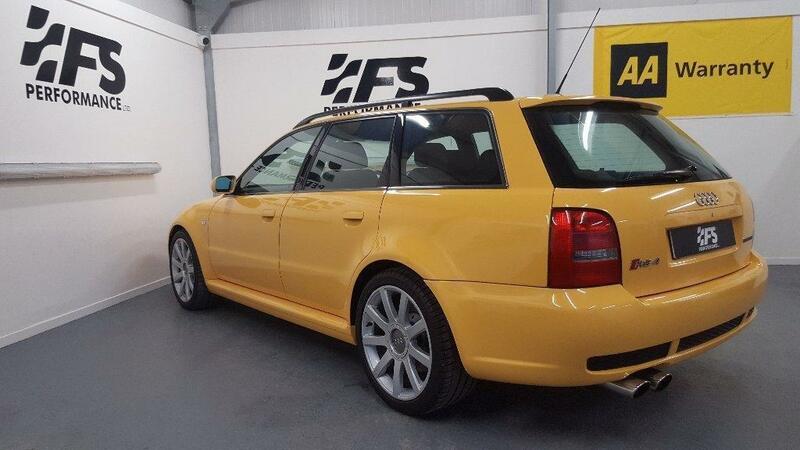 Well, unlike the B7 and C6 I just looked at, the B5 RS4 is heading into collector territory, which means that this 103,000 mile example’s asking price is very close to the lower mileage B7 from the other day. 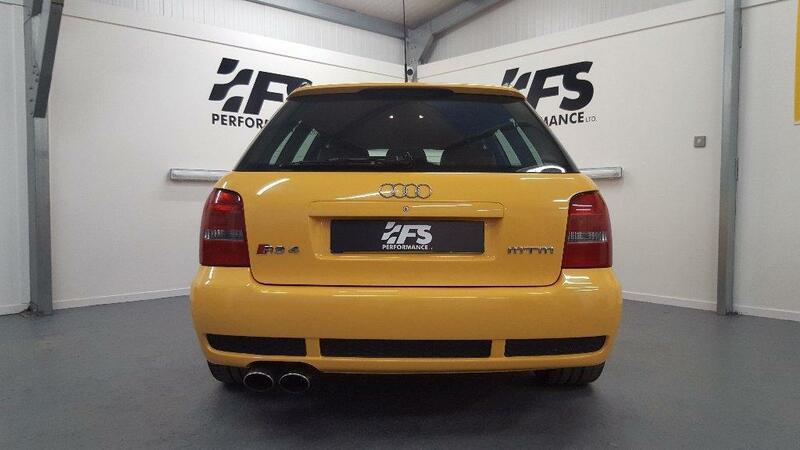 Like the RS6 it’s been upgraded with big-ticket items like the MTM software and Milltek exhaust. Now producing 458 horsepower, the KW coilover suspension is probably a necessary upgrade. 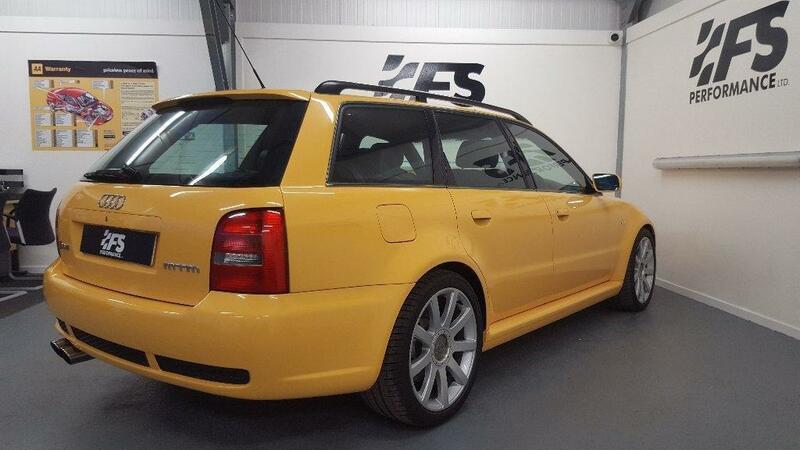 Condition looks like it is overall quite good, and though the RS4 Avant is still 8 years from easy importation, there are several already on these shores and it appears possible to get this one over. Is it worth $30,000 to do so? With clean E46 M3s trading in that territory regularly now, we should probably come to grips with the fact that early 2000s performance cars are now heading firmly into collector territory. editor’s note: this car looks to have sold before our post could go up, but given how rarely we take a look at so many of these RHD cars we’re still running the post as a data point for those who might be in pursuit of such a vehicle. Tagged 2.7, 2000, Audi, B5, biturbo, Cosworth Technologies, Imola Yellow, quattro GmbH, RS4, Turbocharged, Twin-Turbo, V6. My favorite RS. Damn you for posting all these cars that we can’t import (yet)! 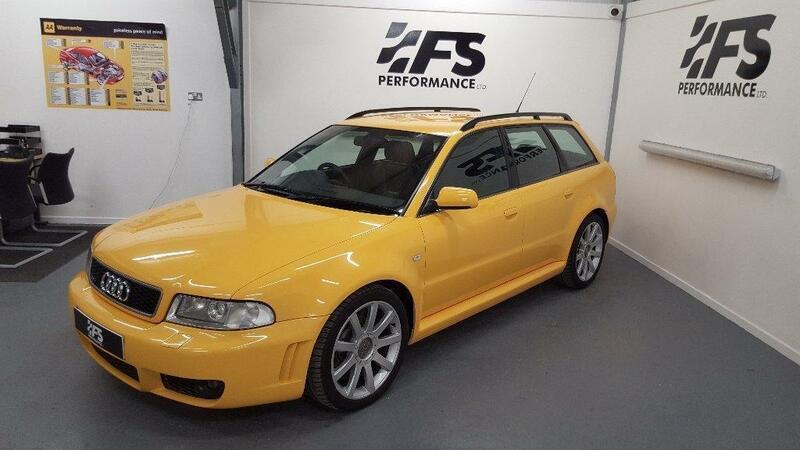 Hmmm….Wonder then what a one-owner, low mileage, stock S4 B5 6spd would go for? @Mark – sedan or Avant? A friend of mine had one of the genuine nogoro ones here in Colorado. When he decided to move to Germany in 2015 there was a bidding war between his neighbors for the car. He sold it for $80k without advertising it at all. @ Mark – what color is it? Details? @Cory – ‘01.5MY. Silver. Bone stock. Full records / documentation. Under 10k miles…no joke. Wow. Are you selling it? If I decide to, I’d offer it-up through this channel. I appreciate Carter and the Team’s assessments / perspectives of their featured vehicles. Enthusiastic when merited, but tempered with a dose of reality of the trending market(s). For now, I’m trying to understand the market for the well cared for / original S4 B5 Avants sans the usual “pile-on” that seems to dominate any web-based discussions. It’s an interesting question when looking at clean, original B5 Avants. They’re the most desirable generally of the early 2000s Audi products, but most of the people who are really into them still aren’t willing to pay a premium like the BMW, Porsche and Mercedes-Benz crowd are. There are a few exceptions, but the strongest money I’ve seen on B5s has been clean, modified examples – not stock. 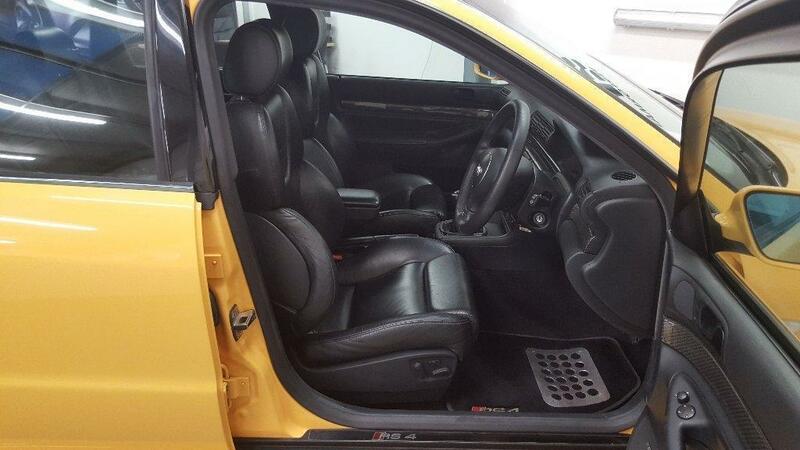 That said, an ultra-low mile, perfect condition stock 6-speed Avant is probably as desirable as they get. You’ll run into more problems selling in the not-too-distant future as more of the RS4s become accessible at roughly the same price point, but the pool of available clean Avants will be even smaller then. I’d guess at this time you might find someone willing to hit $20,000, but you’d currently have difficulty passing that mark. For that money, it would be impossible to replicate a clean car, but I’m just not sure the market is there right now (I’ve seen similar things with the S8 and S6 market). Right now the “hot” market in Audis is still the ultra-clean C4s. I’d recommend holding onto it if you can for a bit longer unless you really need to move it. Mark, what part of the country are you in?